We recently moved to a beautiful space located in the heart of San Francisco's North Beach/Chinatown district with offices and a full professional editing suite available for rental. If you are interested in renting a desk or one of our private offices, please contact info@serendipityfilms.org. Built in stages between 1906-1927, the historic Maybeck Building is named after Bernard Maybeck, architect of the iconic Palace of Fine Arts, the Roos House, and other buildings in the Bay Area. The building is said to be the sole “Arts & Crafts” building in the North Beach area. From 1907-1954, the building was home to the Telegraph Hill Neighborhood Association. 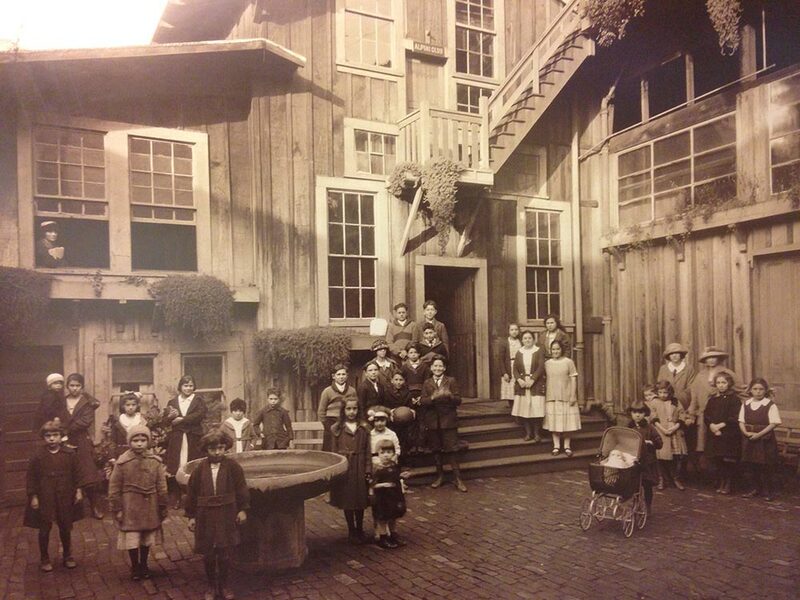 This was San Francisco’s first settlement house providing classes and health services for the North Beach community. The Tel-Hi Neighborhood Association still exists at another location in North Beach. To this day, the well-designed courtyard and greenery make for a tranquil respite in the “cool, grey city of love.” Suite 3 – where we reside – was the former gymnasium for the settlement house and now consists of eight private offices with a shared lobby, large kitchen and two restrooms.